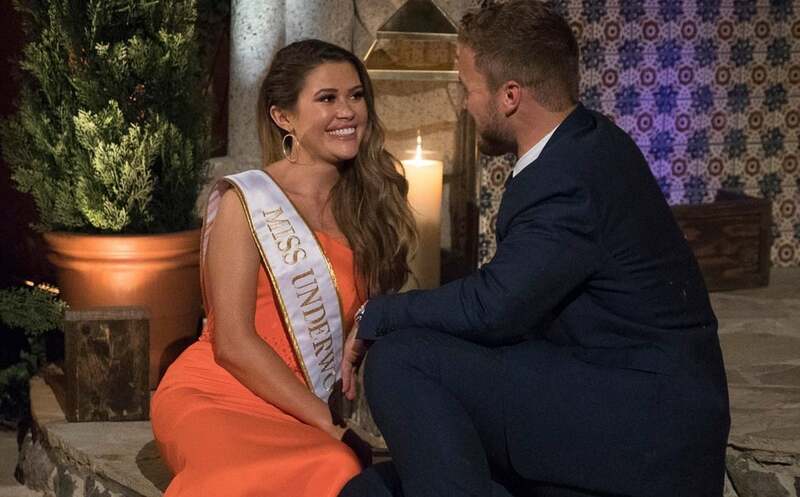 The Bachelor Show has been successful to make the audience sit on the edge of the seat. In the recent surfaced clip on the Internet, fan favorite bachelor star revealed that she was raped. How does Colt Underwood takes this news? Read the full story to discover that..
You can’t avert your eyes from Caelynn Miller-Keyes! She is one of the two beauty queens on the show! Caelynn was the second one on the show to receive a rose from Colt Underwood after Hannah! Well, she is Colton’s first kiss on the show! Caelynn feud on the show! Many of the contestants opened about their struggles to Colt! Demi comes to Colt and tells him about her mother being in prison and gets pretty emotional about it! But Colt assures her that he would never judge her for dark family past and this assurance lifts out the weight from her shoulder. Well, Courtney blames Demi for taking too much time for one-to-one date and also tells that she is being immature! And finally, it’s time for Cataelynn for a one-to-one date! Colt pampers her about shopping excursion! She knew that both of them are getting serious so she could not hide anything about her dreadful past. And finally, she reveals about her dark past! Caelynn: I was drugged and raped! She tells him that she was drugged and raped in sophomore year of the college! In her North Calorina pageant, she had revealed her #MeToo story. Caelynn had said, “Every single time I’ve told my story, at least one survivor has come forward, as well,”. Colt was first shocked but assured her that she is safe with him! Now, Colt opens about his feelings! Colt says that dark past doesn’t matter to her. He reveals that in his previous relationship he was dating a girl who was sexually assaulted. So he doesn’t care! Well, he admits that he had intimacy issues with his ex and the only reason he is a virgin! The show episode ends on a good note! Colt gave a rose to Caelynn at the end of their date. After the date, Caelynn goes to Hannah to end her feud. She urges her to keep the past behind and not to ruin their time on the show! TOP 10 FUNNY TYPOS THAT WILL BLOW YOUR MIND! Kaley Cuoco Addresses Her Pregnancy Rumors, The Truth Is Finally Out!